The WISMEC MTL Replacement Coil Head is designed for AMOR NS Atomizer. It is a 1.5ohm coil. 5pcs each pack. Get them as spare parts for your AMOR NS/CB-60 Kit to enjoy excellent vaping. • It is compatible with Amor NS Atomizer/CB-60 Kit. 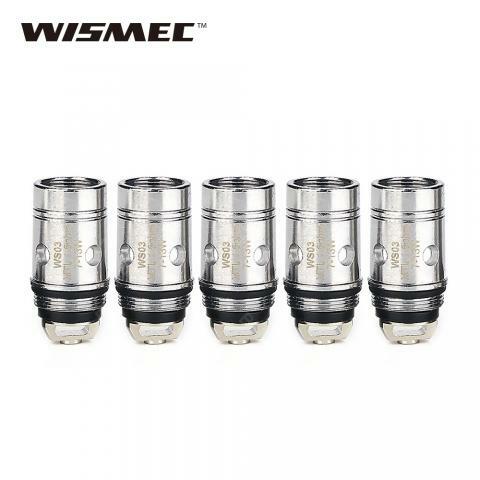 WISMEC Amor NS Coil 5pcs/pack is a Replacement Coil Head is designed for AMOR NS Atomizer. It is a 1.5ohm coil.